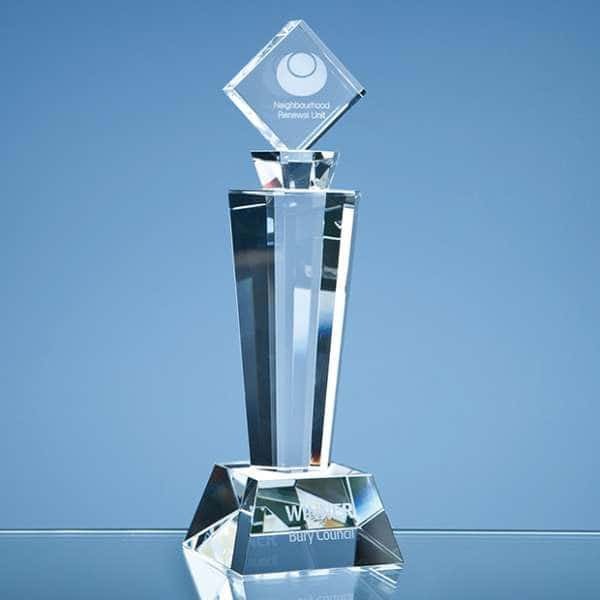 Current estimated delivery time for this award is working days Not sure what you need? 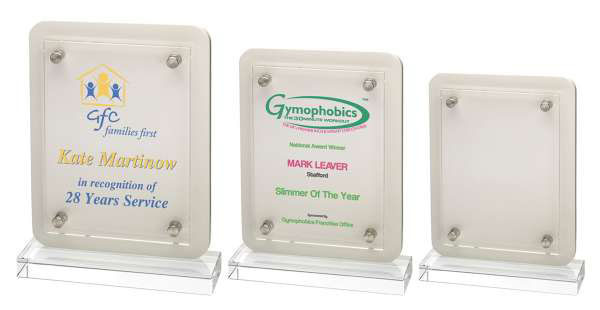 Why not make an enquiry and see what our dedicated team can do for you. 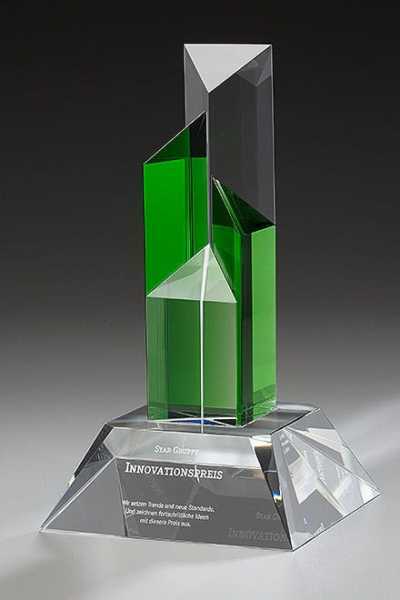 Make sure your top performers are recognised with an award they’ll cherish with this eye-catching emerald and crystal design. 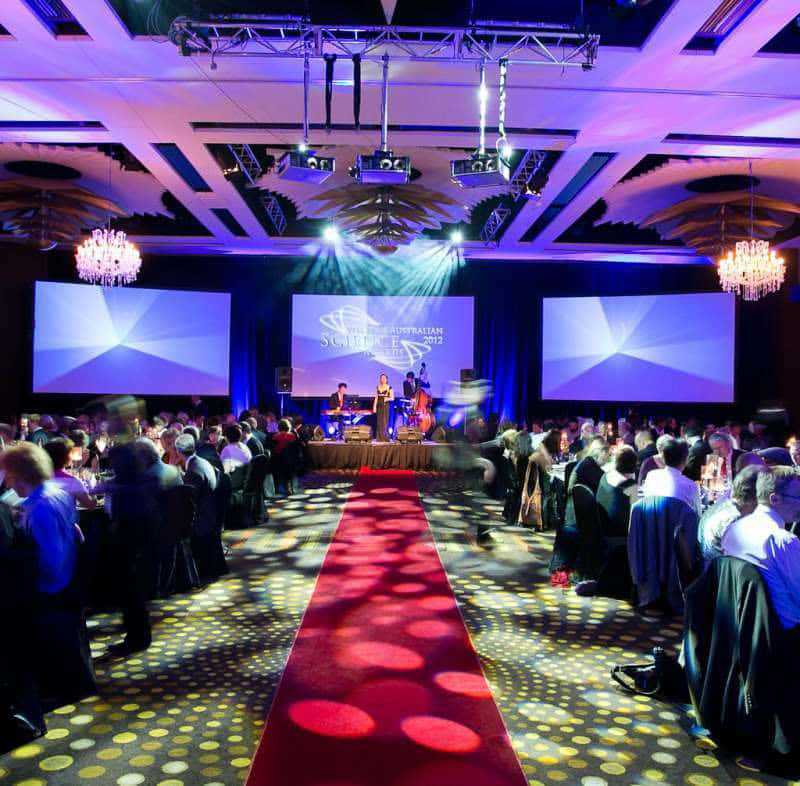 This contemporary design features an assortment of stalagmite centrepieces, with a larger base that’ll catch natural light and create unique optics. 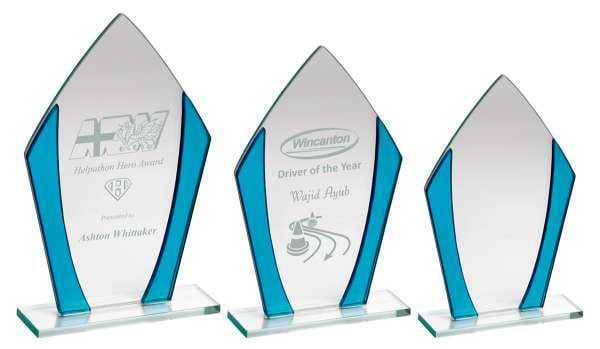 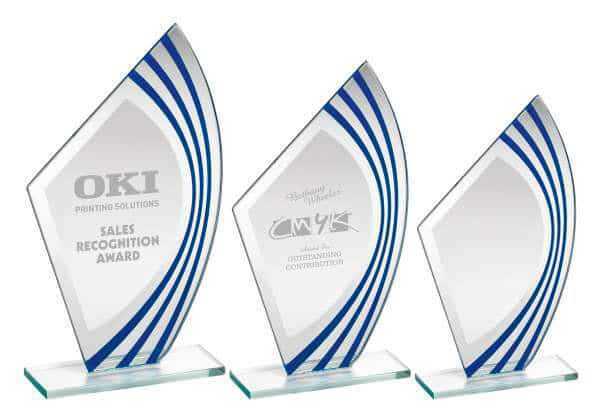 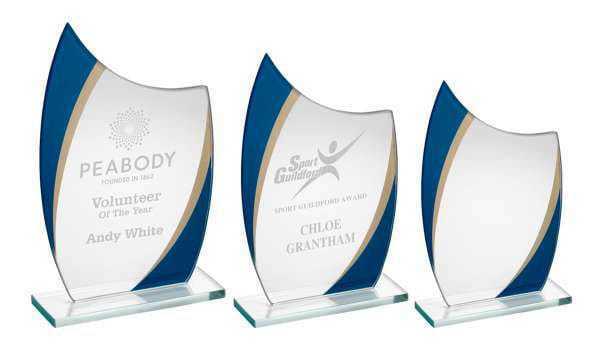 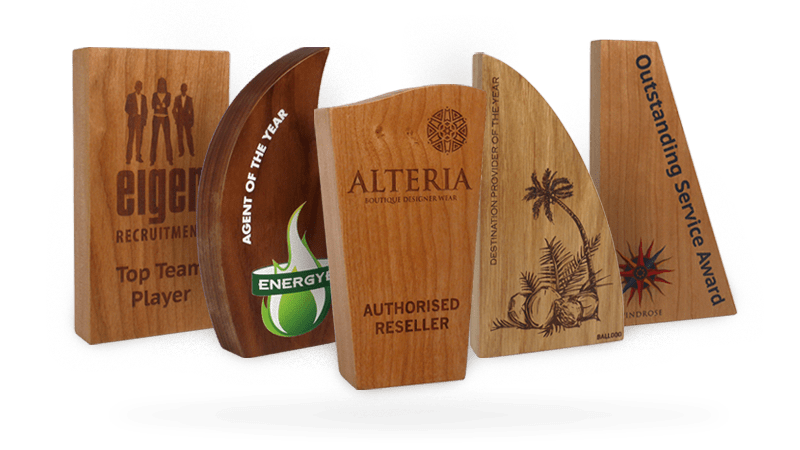 Each of these recognition awards can be tailored with two logos of your choice. 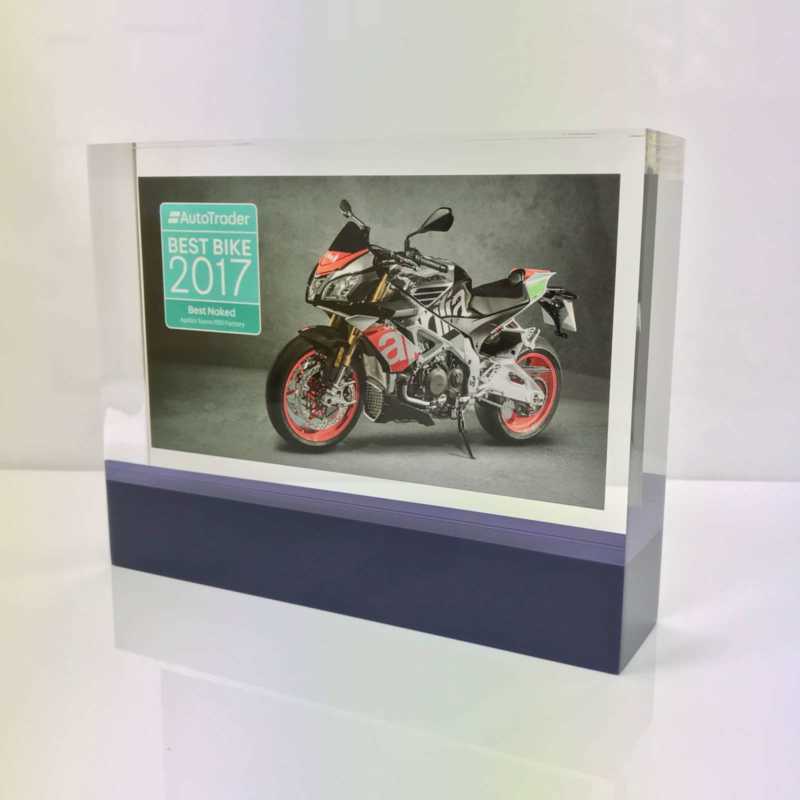 Standing an impressive 30cm tall, this corporate award is an instant classic and is your go-to for those extra special categories.